Workers' Compensation covers work-related injuries to employees. If an employee sustains a workplace injury, Workers' Compensation responds without regard to fault, and covers medical bills and lost wages, up to certain statutory amounts which vary from state to state. You are required to purchase Workers' Compensation if you have employees, but generally the coverage is optional for partners of a partnership, or members of a limited liability company (the rules vary by jurisdiction - ask us about the laws in your state). The standard Workers' Compensation policy also has a second coverage section ("Part Two") that provides Employers Liability coverage. This coverage pays on behalf of the insured (employer) all sums, including defense costs, that the insured shall become legally obligated to pay as damages because of bodily injury by accident or disease sustained by any employee arising out of and in the course of his employment by the insured. Normally, an employee who is injured on the job cannot sue his/her employer. 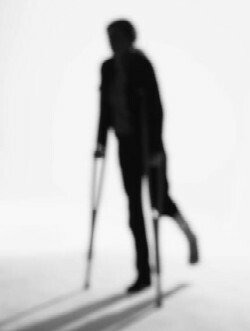 But there are certain circumstances where an injured employee or his/her family may be able to sue the employer, and in those cases, Employers Liability coverage will respond. Hedge Fund Insurance can also arrange Foreign Voluntary Workers' Compensation Insurance to provide 24/7 coverage for U.S. employees who travel overseas on business. Your regular Workers' Compensation policy may not provide coverage for an employee who is injured after normal business hours while on a foreign business trip. List of partners/members that wish to elect coverage. Workers' Compenation policies are rated based on payroll (generally, salary + bonus). Rates, expressed as a dollar amount per $100 of payroll, vary from state to state depending upon state regulations, benefit levels, and the competitive environment. Rates also vary by job classification. Most hedge fund employees fall into either the "clerical" employee classification (code 8810 in most states), or the "outside salesperson" classification (code 8742 in most states). Your Workers' Compensation policy will be issued with a deposit premium based on estimated payroll for the next twelve months. At the end of the policy term, the insurer will audit your payroll records and adjust the premium based on the actual payroll. You can expect to pay roughly $3,500 for every $1,000,000 of payroll. Of course, Hedge Fund Insurance will provide you with a complete proposal, including the exact annual premium, once we better understand your risk and have had a chance to present your account to underwriters. An administrative assistant claims she has carpal tunnel syndrome in both wrists from keyboarding. Your firm sponsors a softball team and an analyst breaks his arm when he falls while running the bases. A junior analyst attending an out-of-state conference rents a car at the airport, and is injured in an accident while driving to her hotel. She will be out of work for five weeks. a division of Frenkel & Co., Inc.